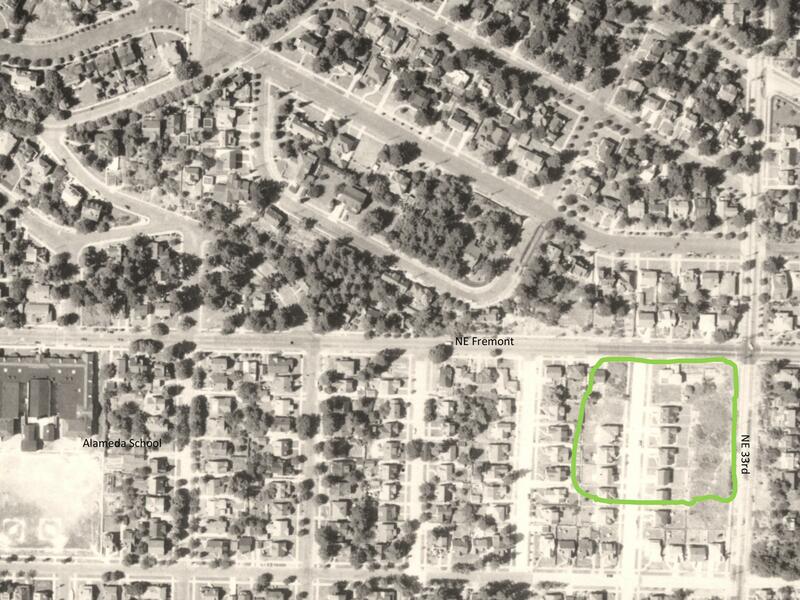 Elsewhere here on AH you’ll find a piece we’ve written about the naming of Alameda’s streets. 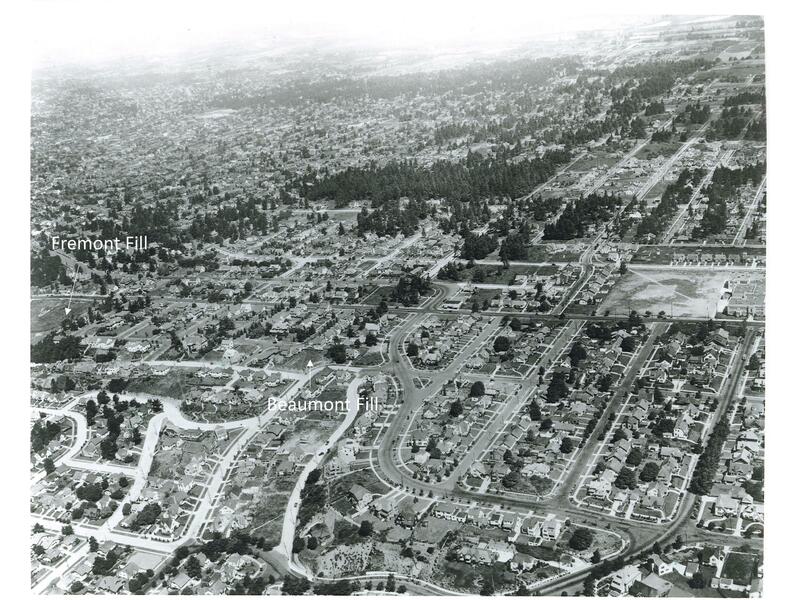 It seems all of the names in the Alameda Park plat have a connection with the founders of the Alameda Land Company: Hamblet, Dunckley, Bryce and Gile were either investors, family members or business partners of company president Edward Zest Ferguson. A bit self-important maybe, but not so unusual back in the day. But Laura has always been a mystery. 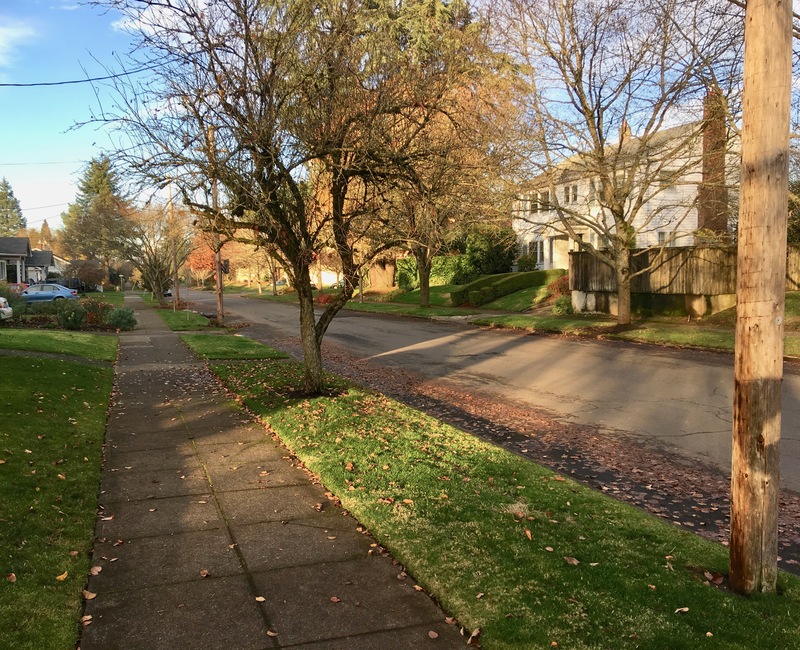 Glenn Avenue is a head-scratcher too, but that street—today known as NE 32nd Place—starts and ends in subdivisions well away from Alameda. Laura is a local name on an 800-foot long street that begins and ends descending the Alameda Ridge from Regents to Fremont. 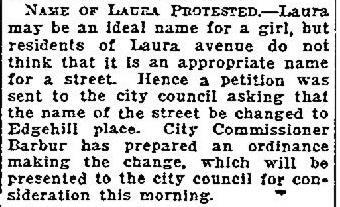 Before we could get to the question of why her street was renamed, we first had to address the question of Laura: who was she? We’d looked before, but not hard enough. This time, equipped with a hunch and some genealogy tools, we found her. 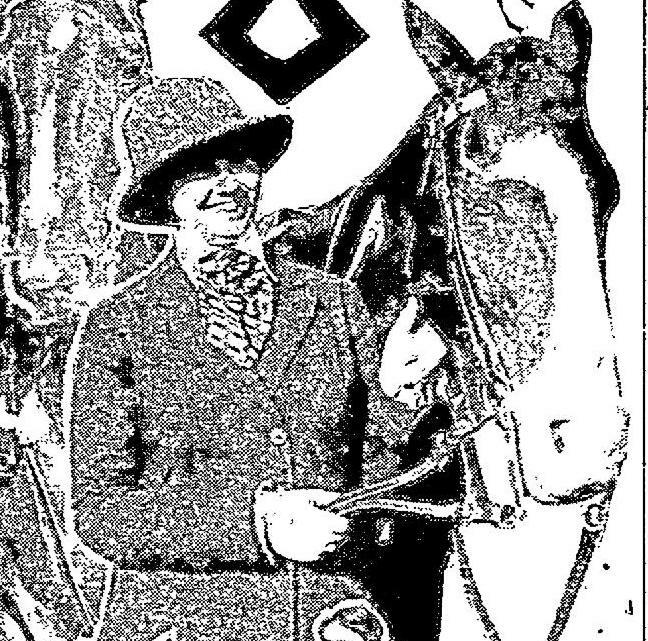 Our namesake Laura was Laura Hamblet, daughter of Harry Hamblet, the money man behind the Alameda Land Company. Born in Astoria on February 22, 1895 to Harry L. and Mary A. Hamblet, the young Miss Hamblet was 14 years old when her family moved to Portland and her dad and his partners named a street after her. 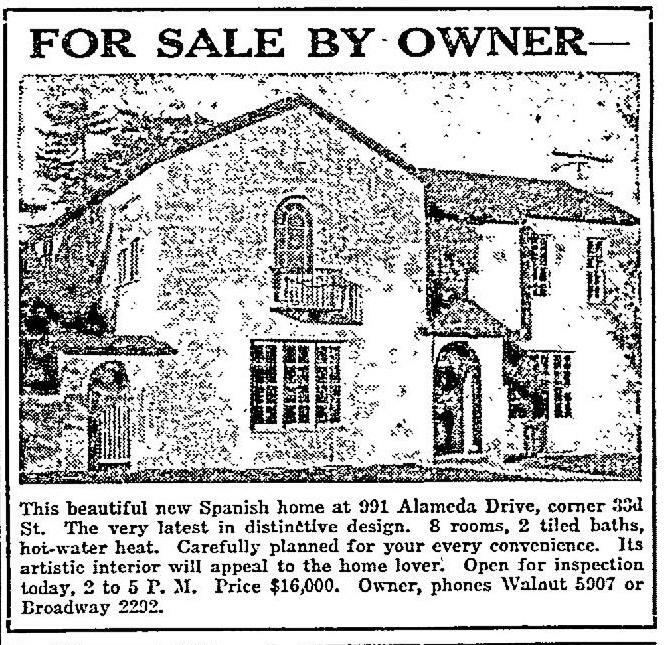 The Hamblets never lived in Alameda, though Laura must have always felt unusually connected to a place featuring streets with her own first and last names. 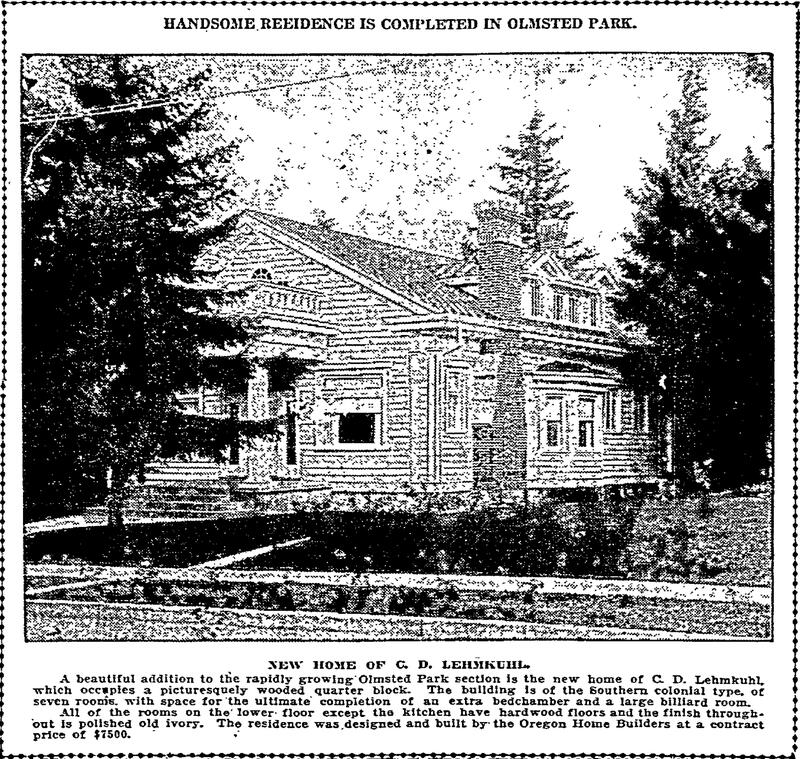 The Hamblets lived in a fine large house on SE Harrison Street at 7th Avenue, which is now a parking lot. Laura and her younger siblings Edwin and Mary (and their domestic helper, a young woman from Sweden named Anna Shalin) lived a comfortable life in their Harrison Street house. 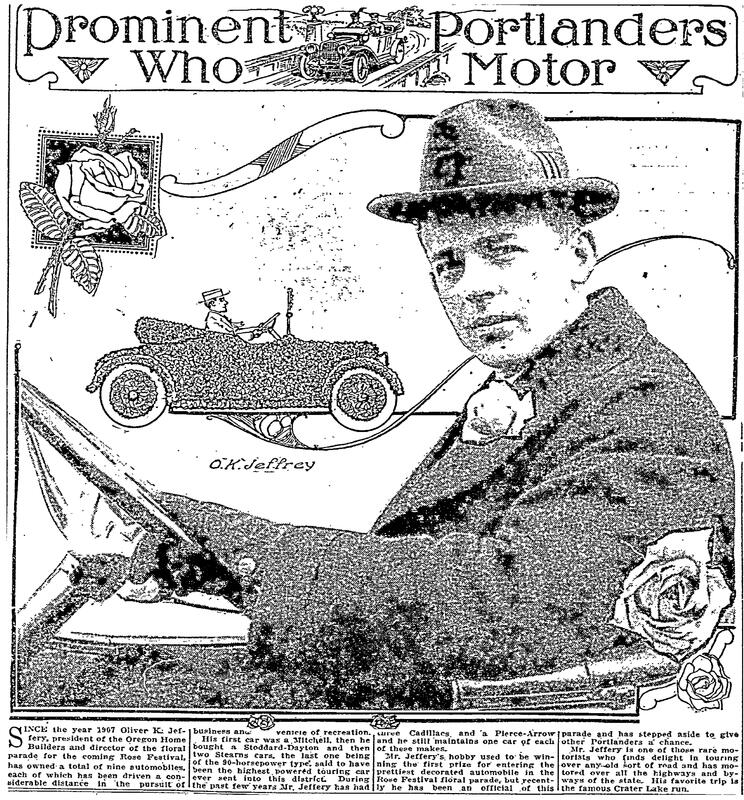 Based on the number of references to the Hamblets in the social pages of The Oregonian, Harry and Mary were successful and influential. 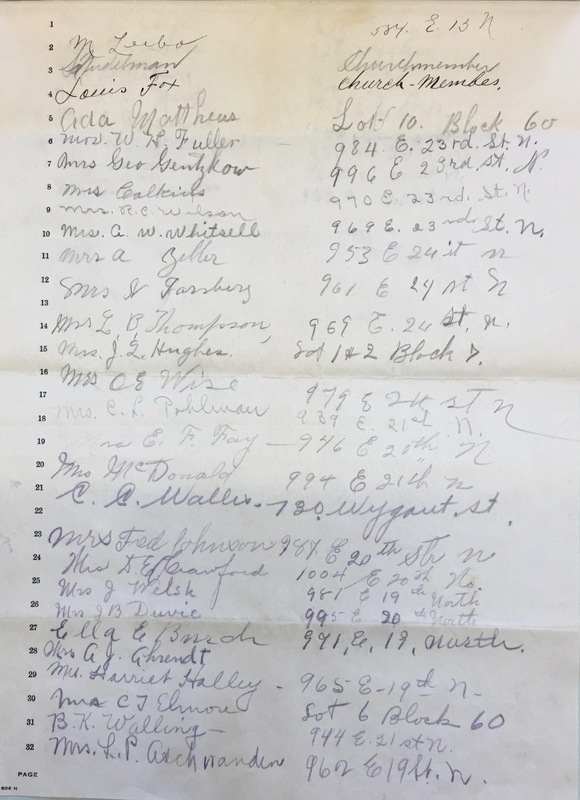 While trying to get a sense of these people, we even ran into a photo of Laura Hamblet on the first day of riding season at the Portland Hunt Club, February 20, 1916. She was 21. Miss Laura Hamblet. 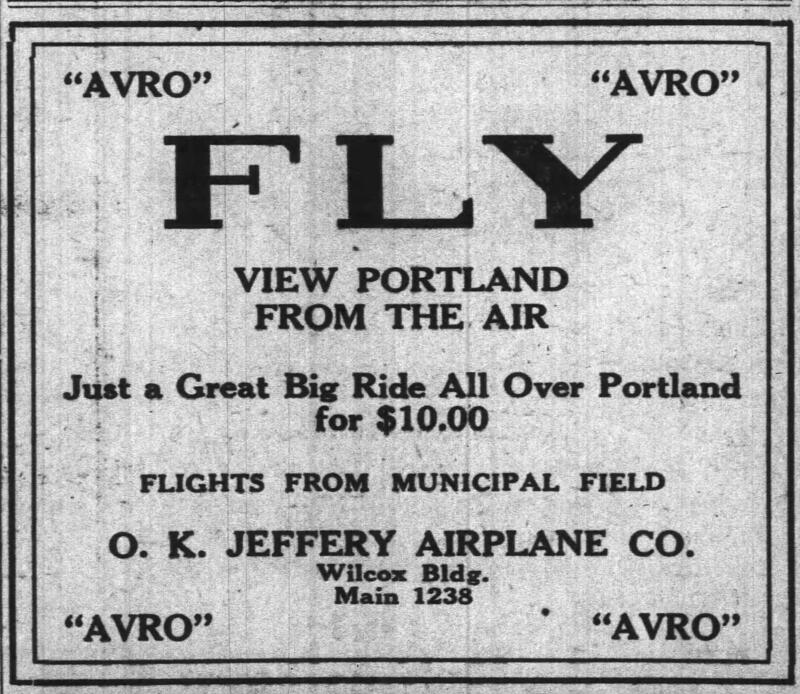 From The Oregonian, February 16, 1920. 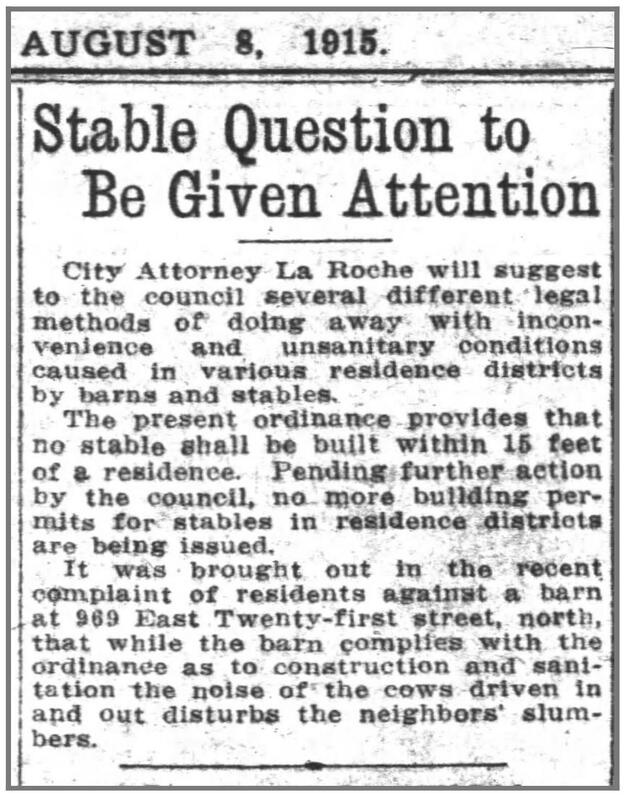 With the first mystery solved—a question we bet hasn’t had a living answer for many years—we could move on to reading between the lines of the April 7, 1920 news story to figure out who, and why someone would want to rename Laura. That trail led us to the City of Portland Archives and Record Center, which is a good place to find yourself if you’re out of living answers. 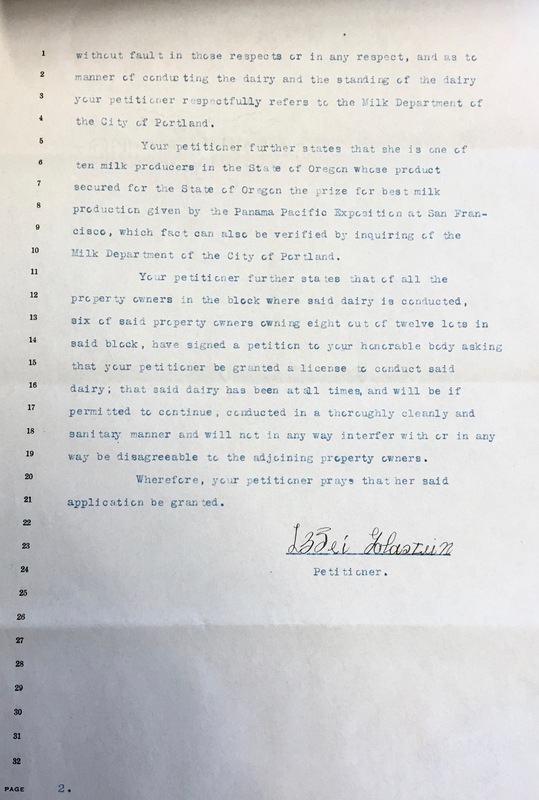 The Oregonian reported that a petition had been raised in protest by residents of Laura Avenue, so we launched into microfilm of Public Works Department records from March and April 1920, and sure enough, there it was: a letter from Dr. Thomas Wynne Watts, resident of 874 Laura Avenue, today’s 2840 Edgehill Place (remember, Portland’s streets were renumbered in the early 1930s). 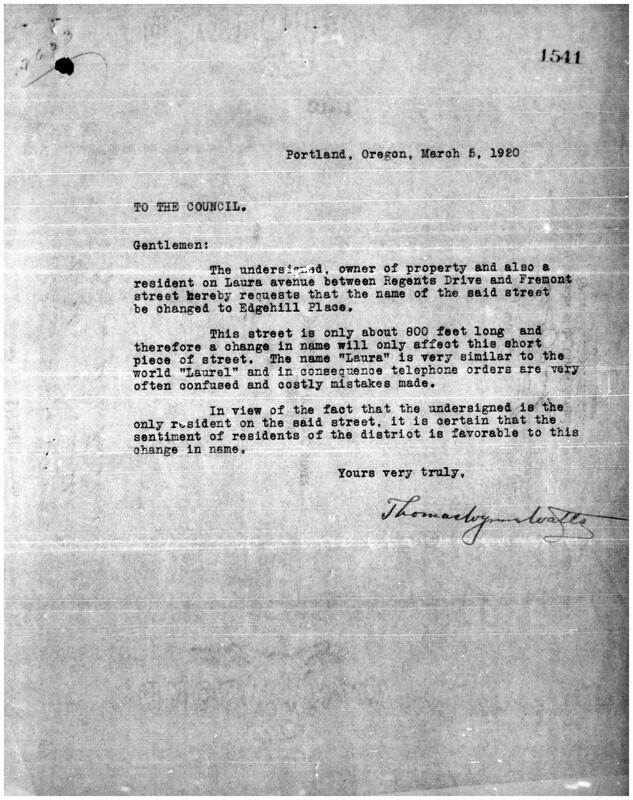 Letter from Thomas Wynne Watts to Portland City Council, March 5, 1920. 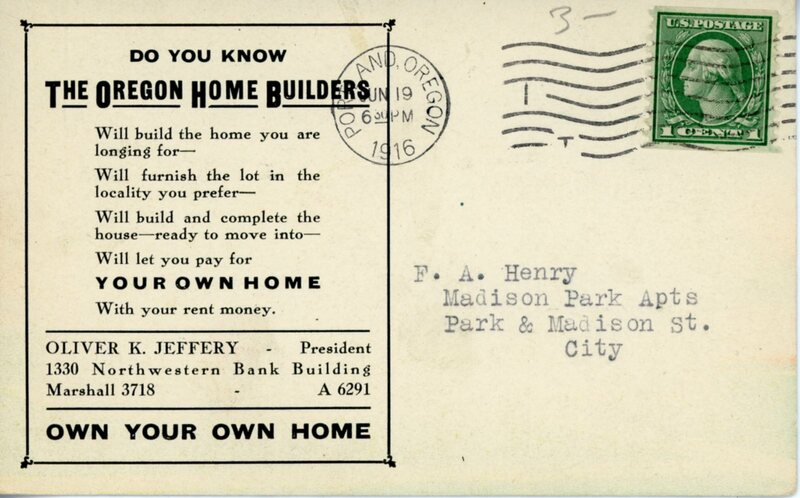 Courtesy City of Portland Archives. So, did you catch that? 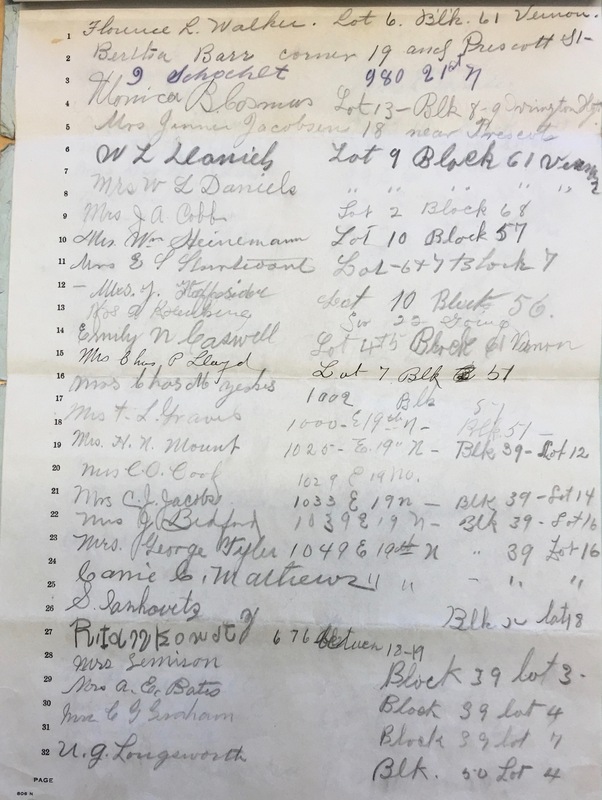 Watts and his family had been ordering their groceries by phone, some of which were probably delivered by bike from Anderson’s Grocery at 24th and Fremont, which was the done thing in those days. That fact alone got our attention, a pre-Amazon moment of local delivery. Imagine the delivery person either on a bike or in a “machine” as autos were called then, mistakenly heading off to Laurel Avenue, wondering why someone almost all the way to the top of the hill on Southwest Vista, or on a short two-block street just south of Johnson Creek near SE 60th, would be ordering groceries to be delivered from the Alameda neighborhood. Or maybe that was just Watts’s cover story for not liking having to explain to his colleagues that he lived on Laura. Who knows. 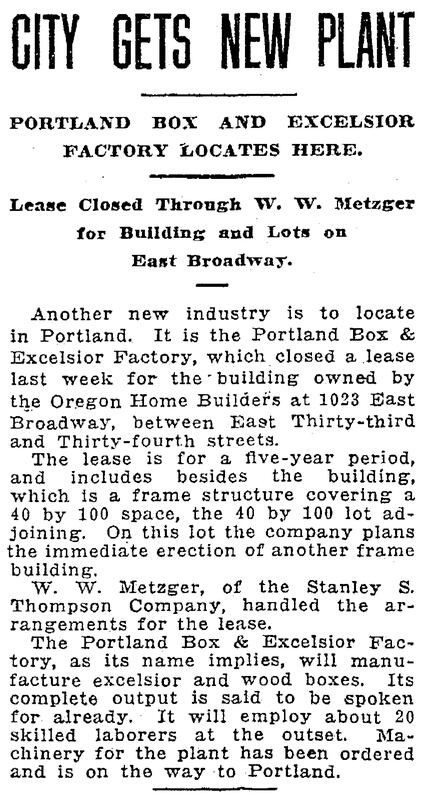 The piece in The Oregonian implies they just didn’t like the name. Did the Watts know Laura Hamblet? Possibly. 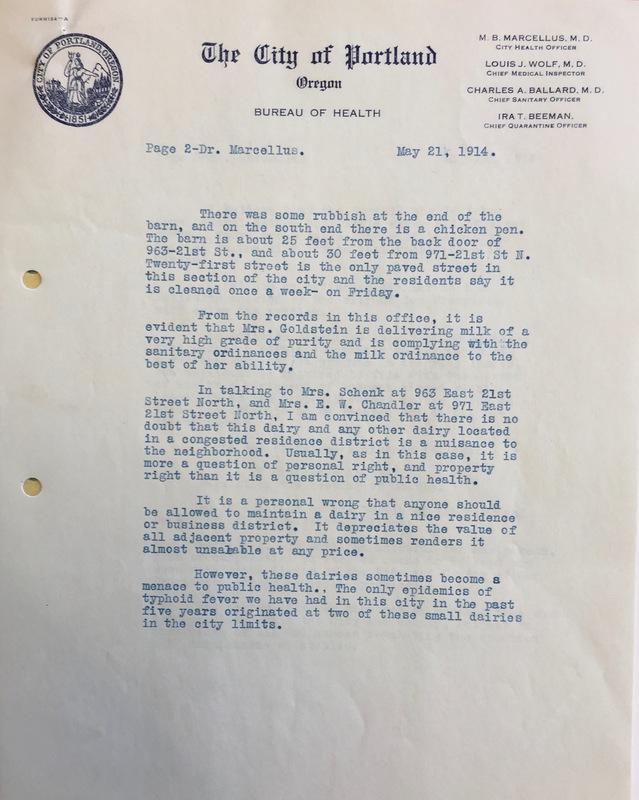 Watts was a well-known Portland dermatologist who moved to Laura Avenue in 1919, just one year before filing the petition, and moved away to southwest Portland in the early 1930s. 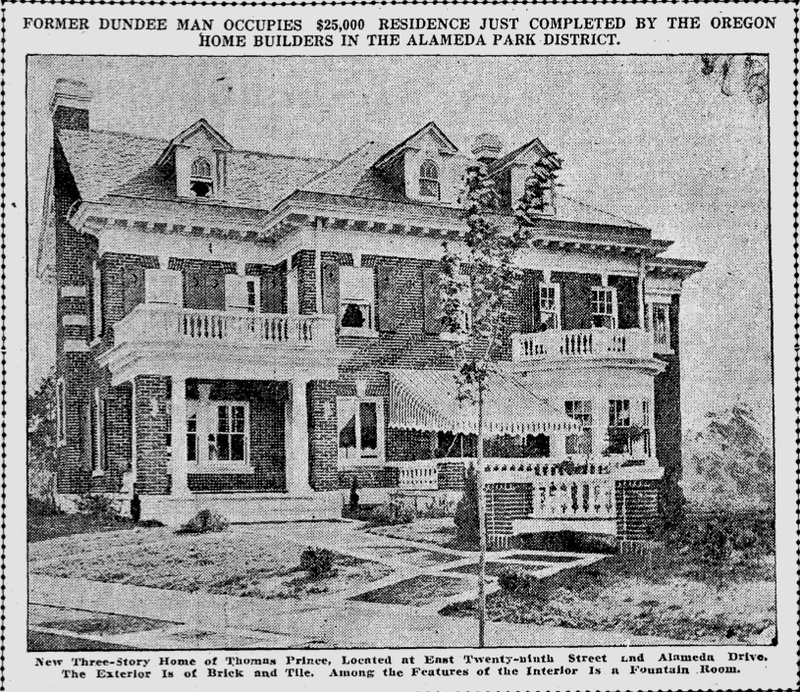 His children—son Holbrook and daughter Hannahsue—were elementary school age at that time and must have ranged free across the empty sloping lots of Laura Avenue before houses began popping up in the mid-1920s. 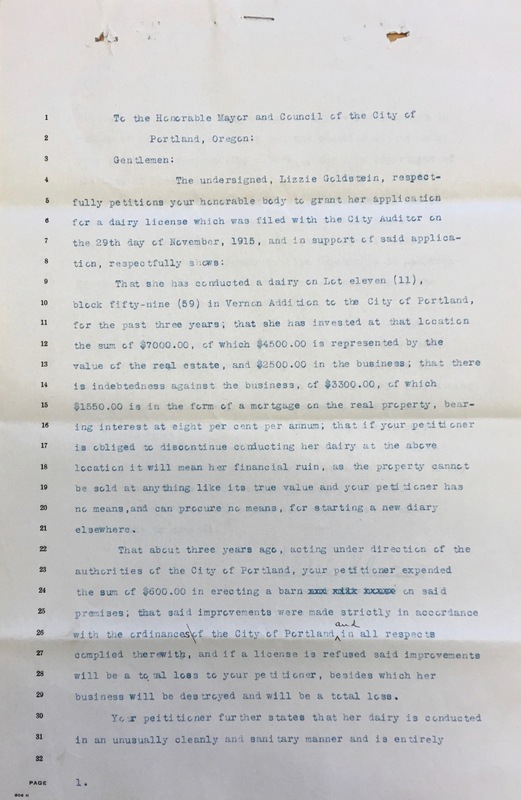 In a sub-current of personal tragedy that surely eclipsed the petition and renaming, the Watts four-year-old daughter Sara Margaret died in the home on March 9, 1920, four days after her father submitted the petition letter, following a short bout of influenza. 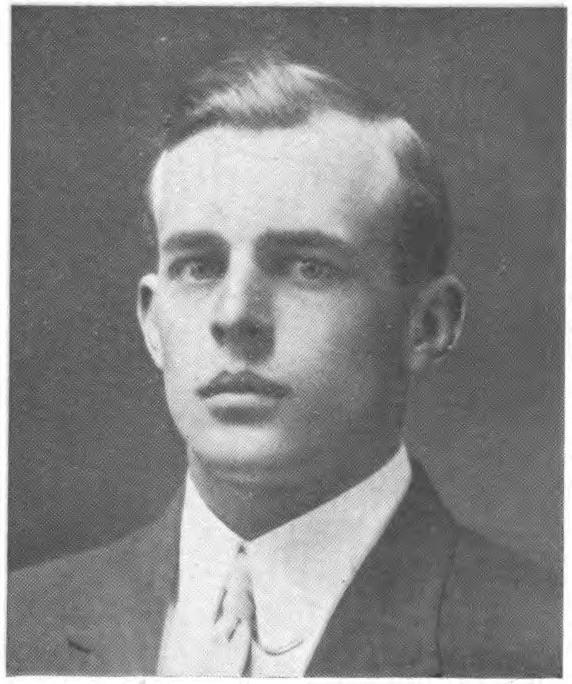 A younger son, Thomas Jr., who also became a doctor, was born in the house in 1921. 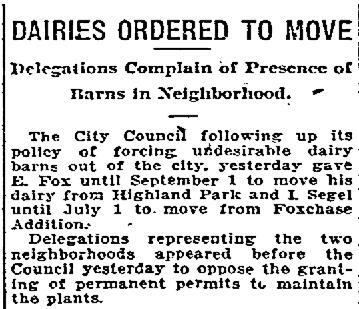 City Council agreed and on April 21, 1920 unanimously passed Ordinance 37170. Laura was out and Edgehill was in. No explanation remains of how Watts came up with Edgehill, or other possibilities he may have considered (did he think of Holbrook, or Hannahsue, or Sara?). The topography of the street seems self-explanatory enough. Nor is there record of how Miss Hamblet felt about the renaming. 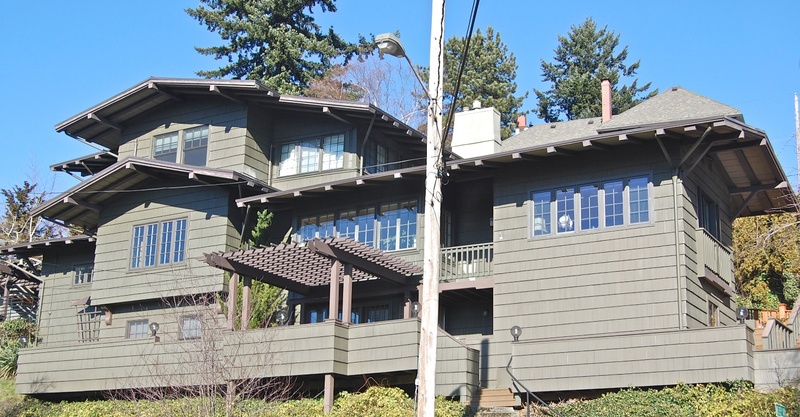 Later that year she married Fred Breske and they began their family—welcoming her own daughter Laura—and lived out their lives here in Portland. 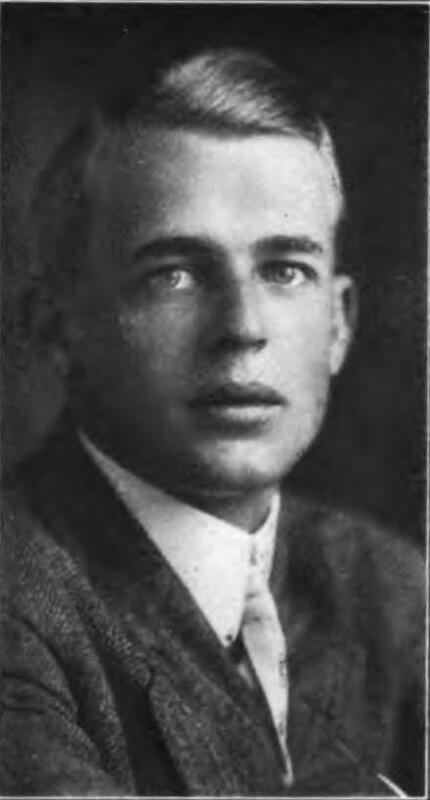 Laura Hamblet Breske died in October 1963. Did she ever come back to visit her namesake street? Evidence of Laura Avenue is still around, stamped clearly into the curbs of Edgehill Place, reminding us of another time and a different reality. And lest you think we planned to write about two young women whose names are cast in concrete all in the same week: nope, just an unusual confluence of research and observation. Long live Josie and Laura. 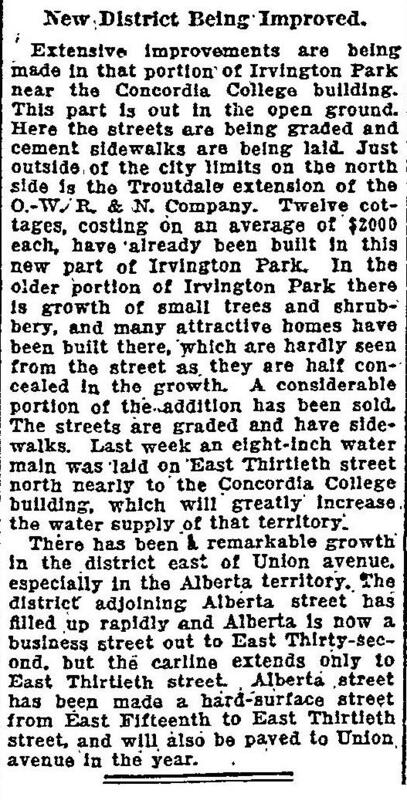 We’ve had the opportunity recently to look into the origins of what is known today as the Concordia neighborhood, and even though it had different names way back when, no big surprise that today’s neighborhood draws its name from nearby Concordia University. 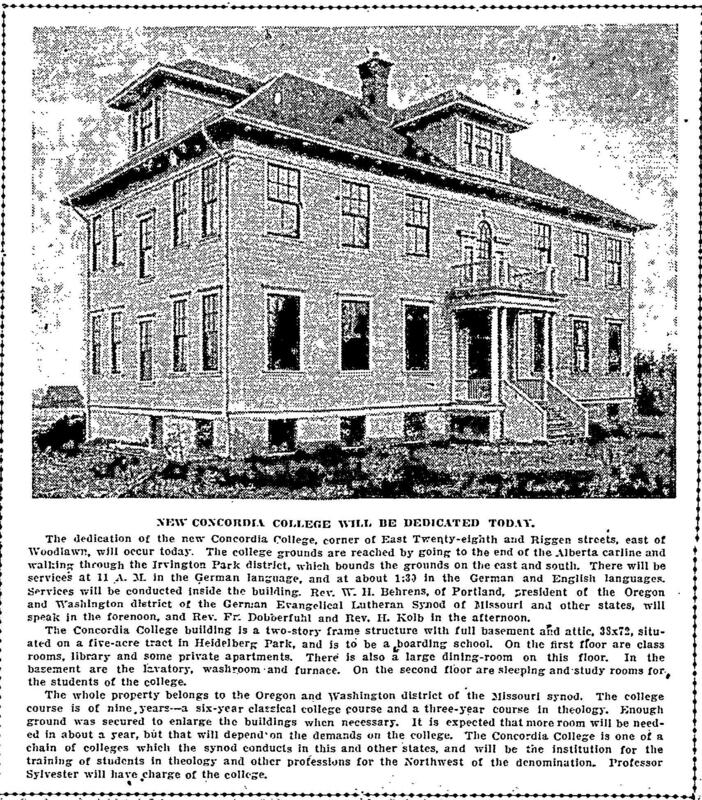 Opened in 1907 on six acres of land that was then at the edge of Portland city limits, Concordia College was a simple two-story wood frame building home to the Oregon and Washington District of the Evangelical Norwegian Synod. Operating primarily as a high school program for young men until the 1950s, Concordia gradually evolved into a junior college, added a co-ed mission and additional facilities in the 1950s, and became a full-fledged four-year college in 1977. 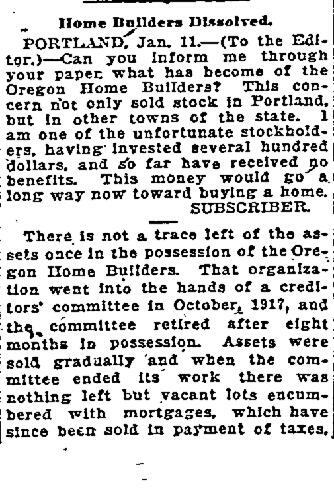 Here’s an article from The Oregonian on December 15, 1907 that provides some context and mentions a few early references that AH readers will recognize. Have a look (click to enlarge). 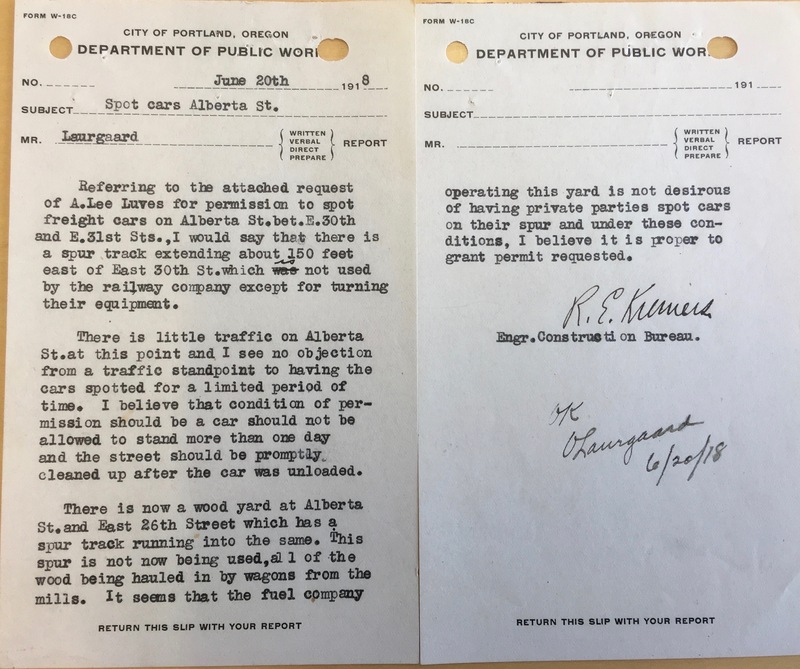 We’ve written about that stop at the end of the Alberta carline mentioned above, which was the corner of NE 30th and Ainsworth. 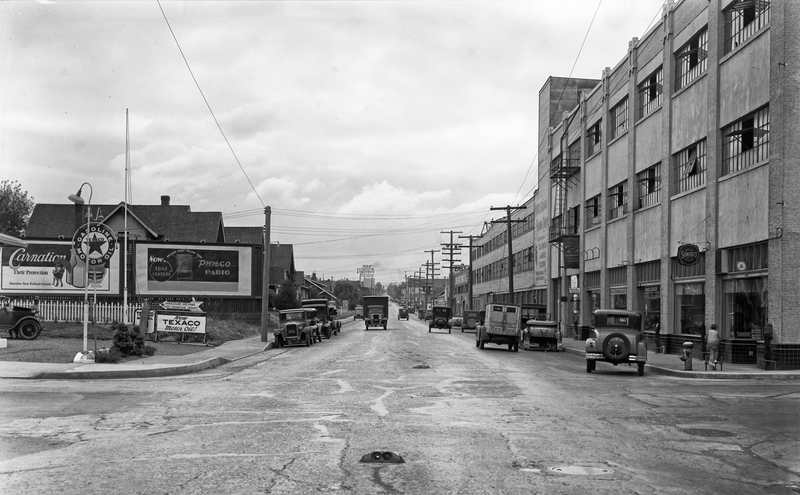 Check out our post and a 1944 photo of the streetcar parked there. So ok, no big surprise about the Concordia name we know today. But peel back a layer of history to reveal earlier names, and it gets interesting. 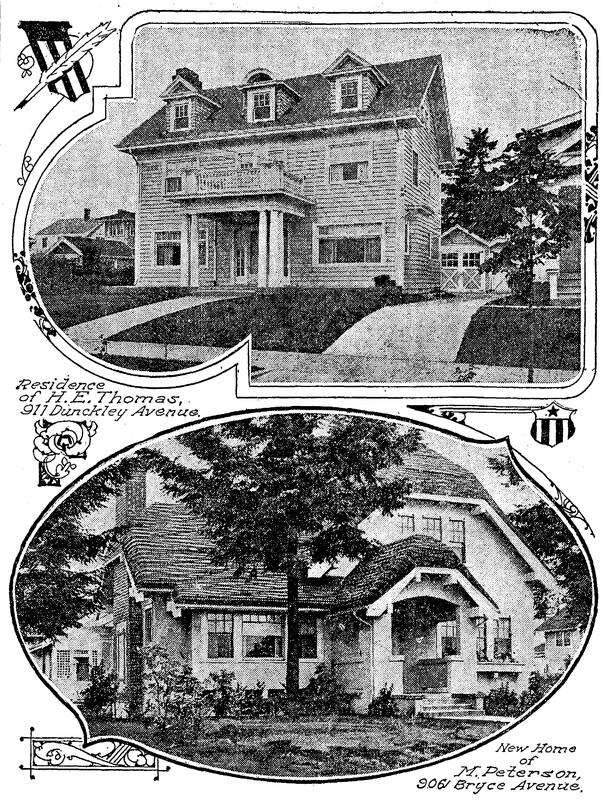 Back then, if you lived in the area north of Killingsworth and south of Dekum between 20th and 33rd, you would have told someone you lived in Irvington Park (not to be confused with Irvington), or maybe the Town of Creighton, or the Heidelberg Addition, or even Foxchase, all place names making up today’s Concordia neighborhood that stem from the title of survey plats filed by the real estate operators who gridded out the fields and forests on these gentle south slopes above the Columbia River. 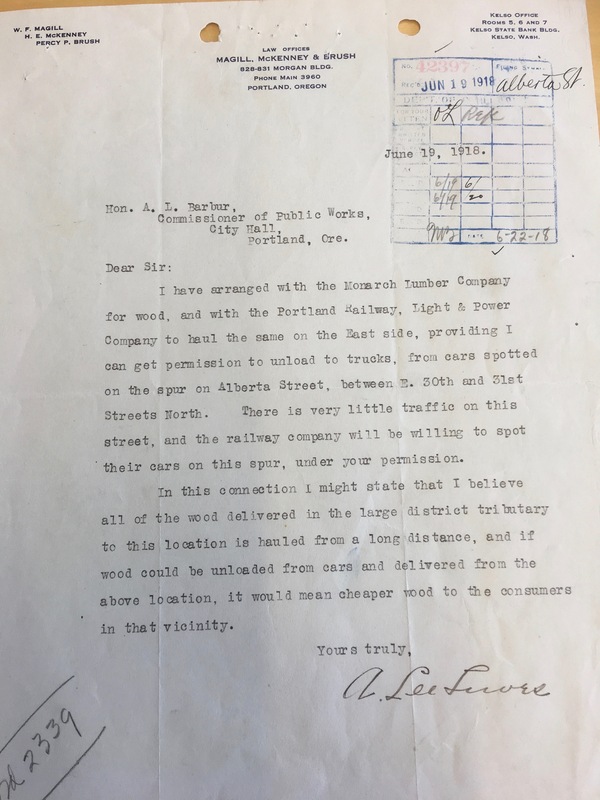 The Town of Creighton (like the Town of Wayne adjacent to Alameda) wasn’t actually a town, more like the idea of a town, hatched by property speculators in 1883, drawn out as a kind of map and filed with the Multnomah County surveyor. Remember back then this neck of the woods was well outside the city limits. 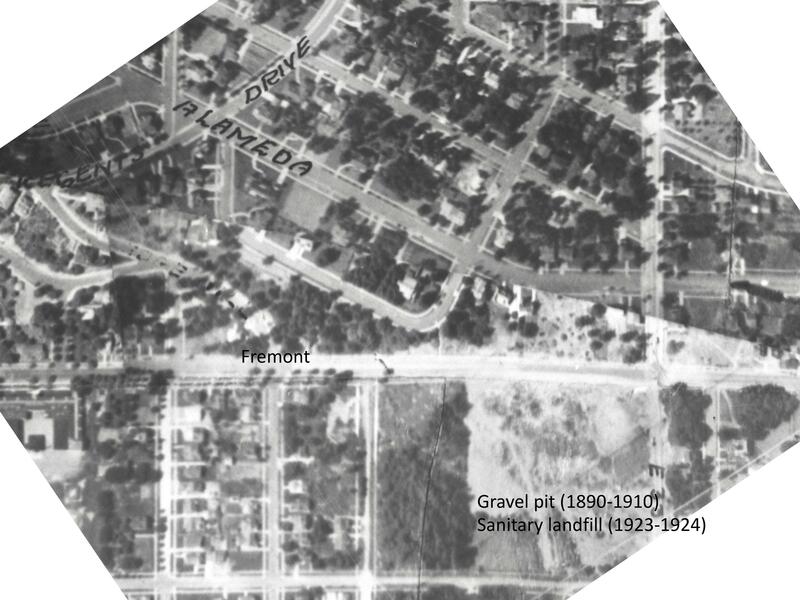 The Town of Creighton plat is unrecognizable today: its tentatively drawn tree-related street names didn’t carry through time: Maple, Walnut, Beech, Locust, Birch. Creighton’s only legacy is the location of boundary lines on today’s map: north of Killingsworth, east of 25th, south of Rosa Parks and west of 33rd. Maybe you’ve figured out that “Riggen Street” is today’s Holman, and that “North Street” is Rosa Parks Way. 33rd on this plat is actually today’s 32nd place and 34th is 33rd. Details, details. 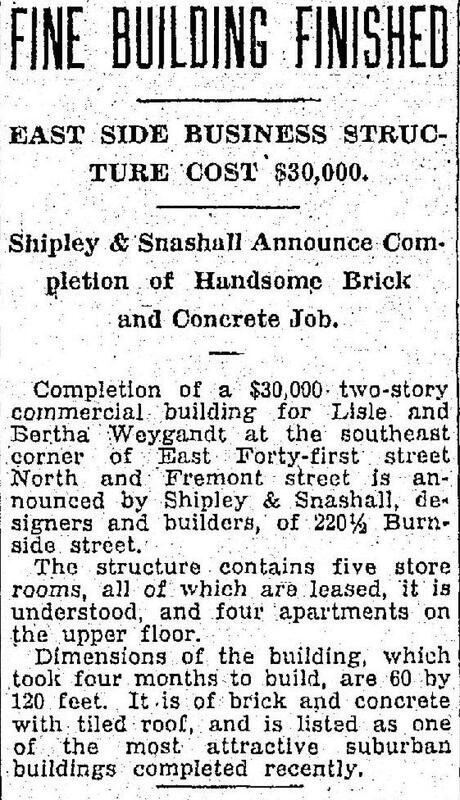 And here’s another gem, from September 16, 1907. Yes, there were lots of trees: a nice way of saying this subdivision was way the heck out there. Trading on the name of someone else’s success wasn’t a new idea. 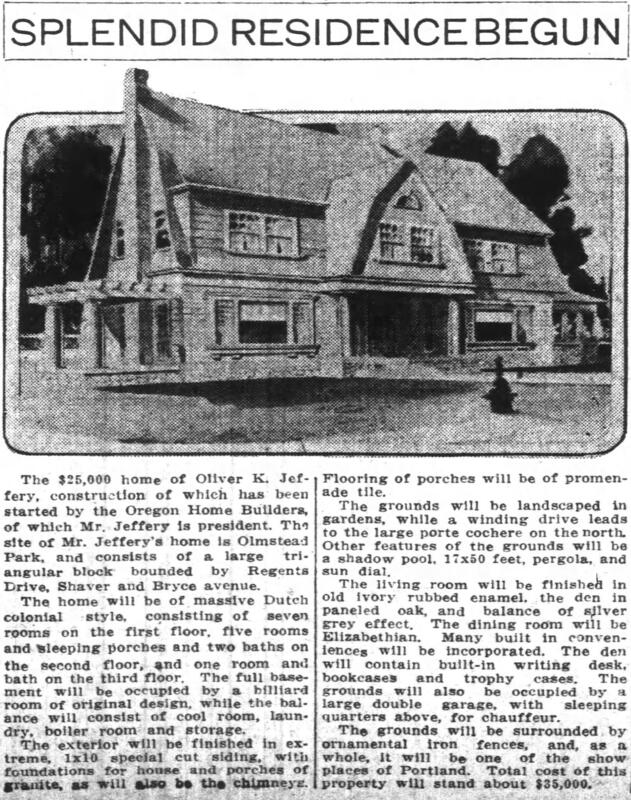 Alameda Park developers did the same with their own outrageous 1910 brochure, plus when Alameda was plumbed for sewers back in 1910, they even attempted to freeload (so to speak) on Irvington’s existing sewer system. 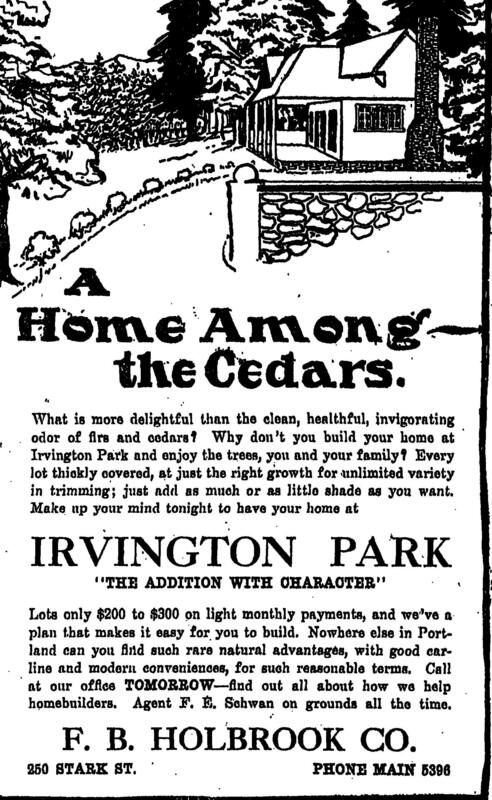 Even The Oregonian got into the act of promoting Irvington Park. 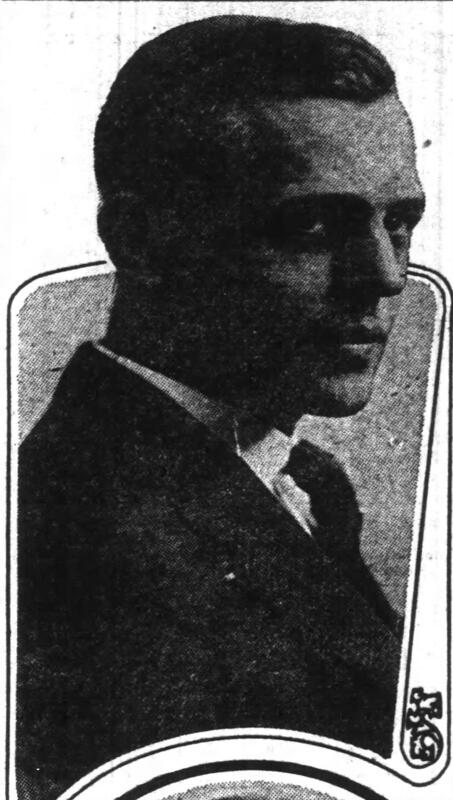 Here’s a piece from July 23, 1913. 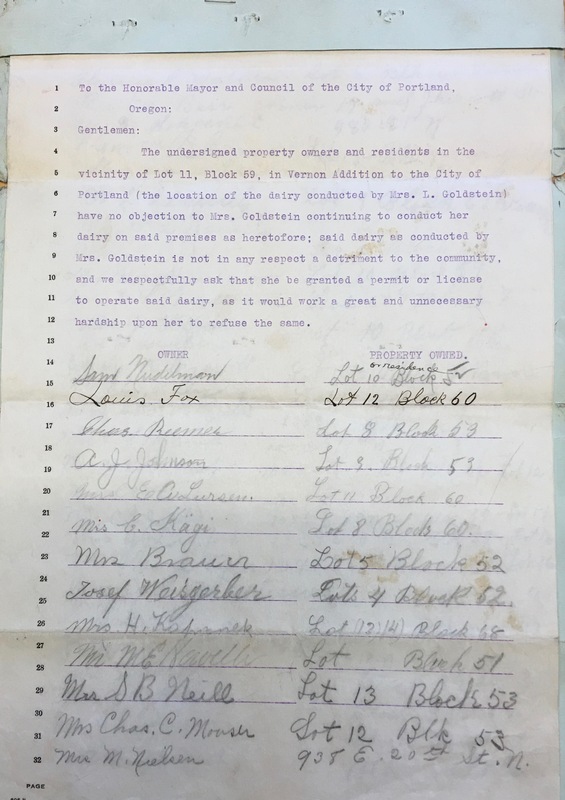 There’s a fascinating history to the Irvington Park lands that runs deeper, to 1866 when 49 acres were transferred from the United States government to Henry McIntire as part of a bounty land claim deed that was a reward for McIntire’s military service. The lands changed hands quickly after that, owned briefly by a private individual, then by Willamette University, and then by the Salem Flouring Mills. During the early 1880s the lands were even owned by William H. and Jennie Creighton (of “Town of Creighton” fame) before they defaulted on a mortgage payment to the Salem Flouring Mills. 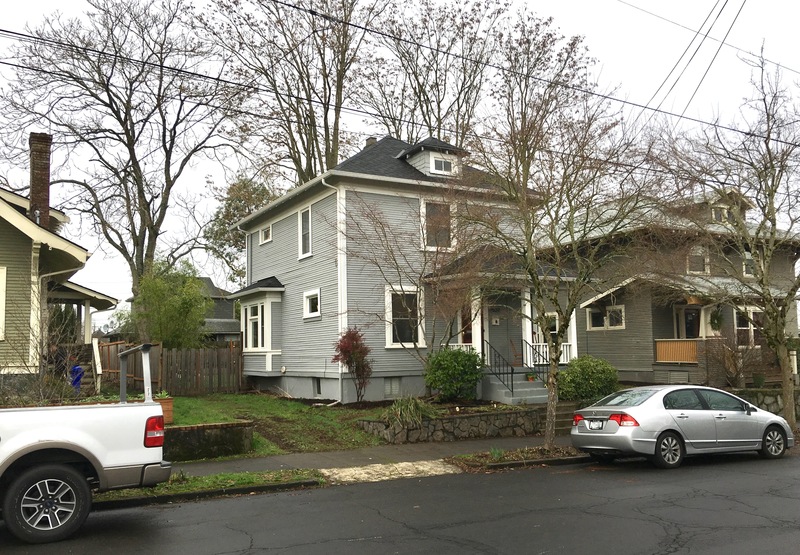 Mr. Creighton started out as a produce and shipping broker and proceeded into real estate speculation, as it seemed every Portland businessman did in those days. 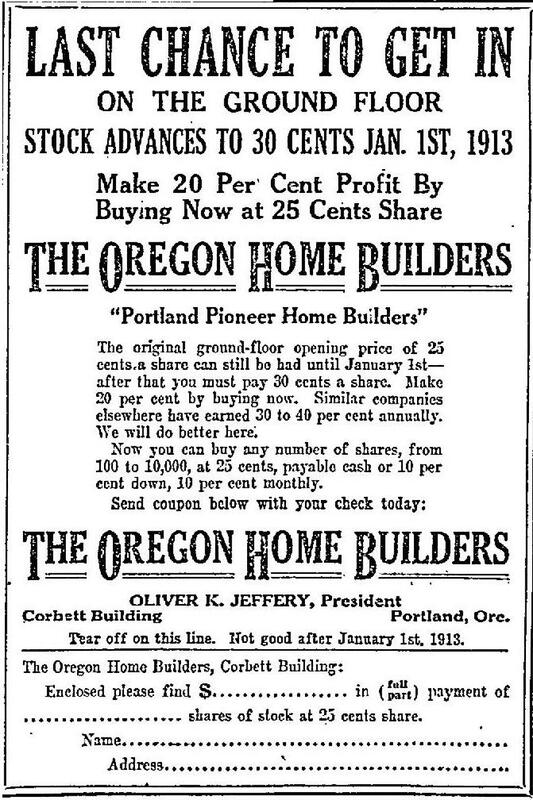 By the early 1890s, the lands were in the hands of an unimaginatively named group called the Investment Company, owned by big-time Portland developers including William M. Ladd (who incidentally was a principal in the Salem Flouring Mills) and Edward Quackenbush. 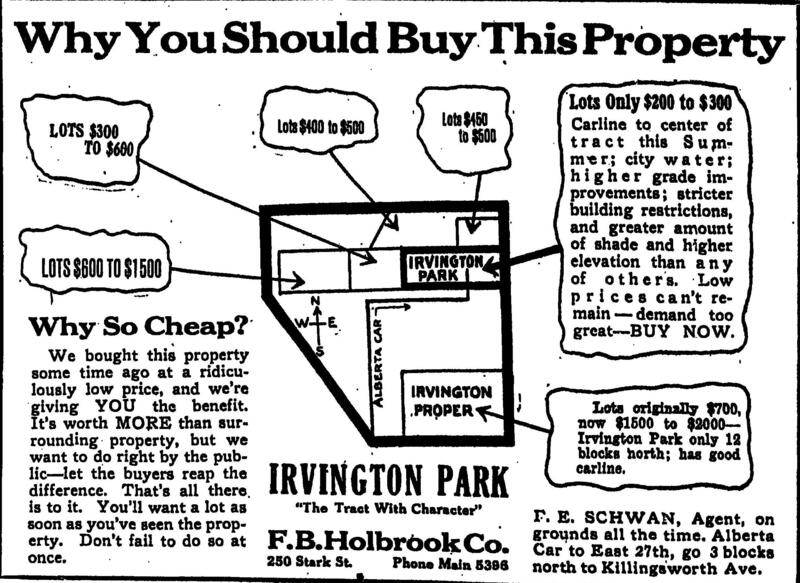 Selling lots in Irvington Park was just one of their many enterprises. And deeper yet: elderly residents of Irvington Park we have interviewed report that when the ground was first disturbed to make streets and lots almost 100 years ago, Native American objects and artifacts were frequently found, which makes sense given the proximity to the Columbia Slough and Columbia River. These lands, like every inch we live on today, are part of the ceded lands of the Confederated Tribes of the Grand Ronde. Unfavorable treaty agreements in the 1850s removed indigenous people from these original homelands and then systematically broke the lands up to development through actions like the Donation Land Claim Act and related bounty land claim provisions. Any stone tools or arrowheads found today should rightly be returned to the Confederated Tribes of the Grand Ronde. 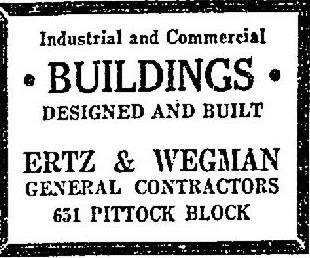 Over time, as Concordia College’s physical presence began to expand, the underlying plat names in the adjacent neighborhood fell out of usage in favor of what was becoming a local landmark, as in “we live over near Concordia,” and the previous deep history was forgotten. 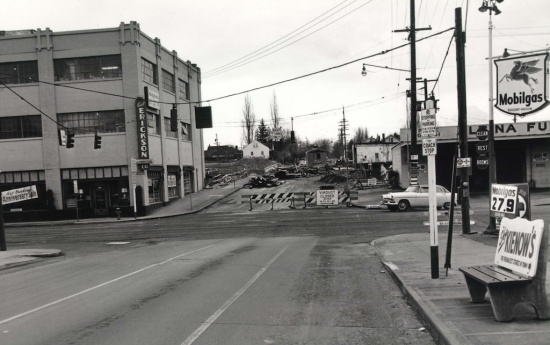 The mid-1970s marks the first official reference to the Concordia neighborhood that we could find either in daily news reporting or in city reference documents. 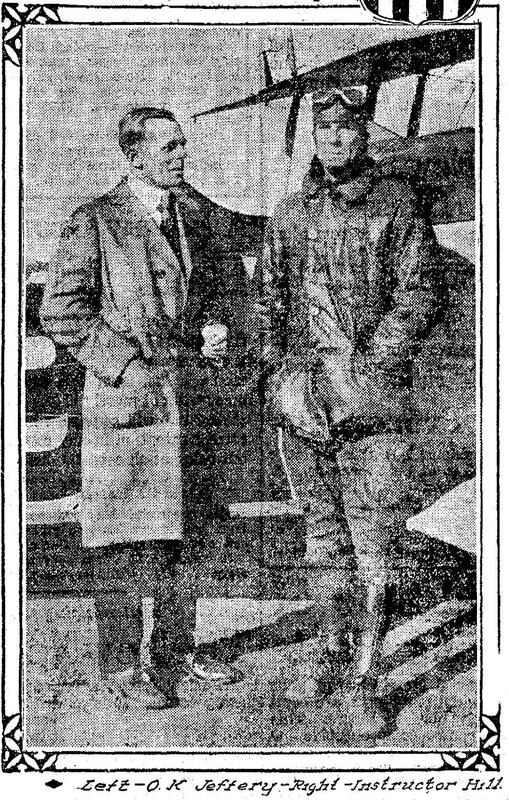 Courtesy City of Portland Archives file AP/25016, January 5, 1934. 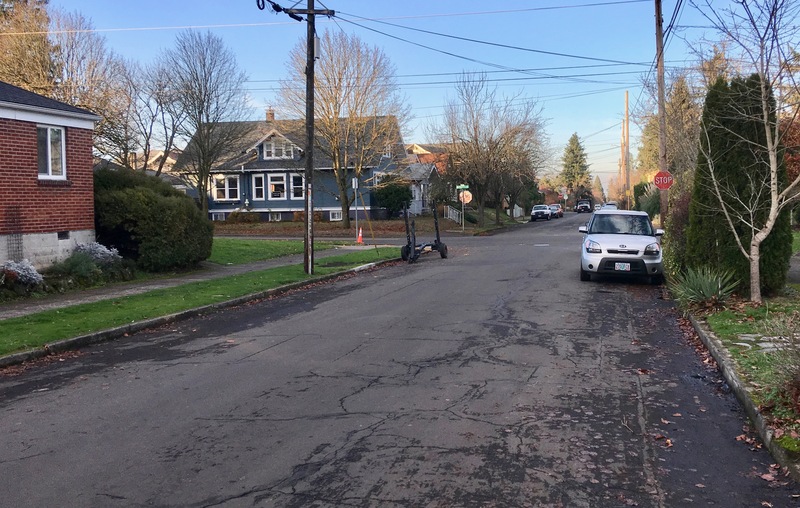 The same view, looking north on NE 24th at Alameda, in December 2017. 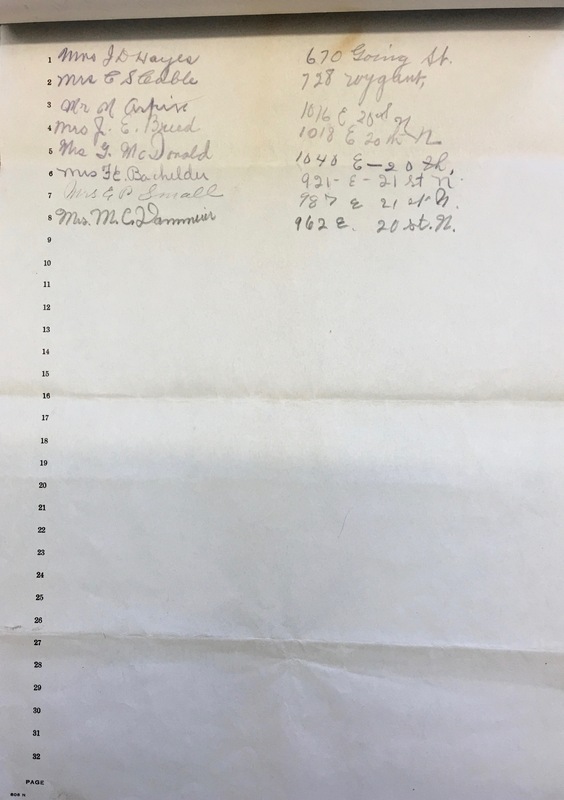 On a recent visit, we bumped into some old city documents and photographs that provide a major archival document and engineering geek-out for us and possibly for one or two AH other readers: 110-year-old sewer plans for Alameda and repair photos from the 1930s. OK, we know this isn’t going to interest everyone, but the drawings below pertain to the very earliest construction activity in our neighborhood. When you really look at them—and realize this universe of sloping interconnected pipes was carefully thought up and then dug deep into the ground and placed by hand—you have to appreciate the early planners and builders. Have a look (click to enlarge) and then we’ll analyze what we see. 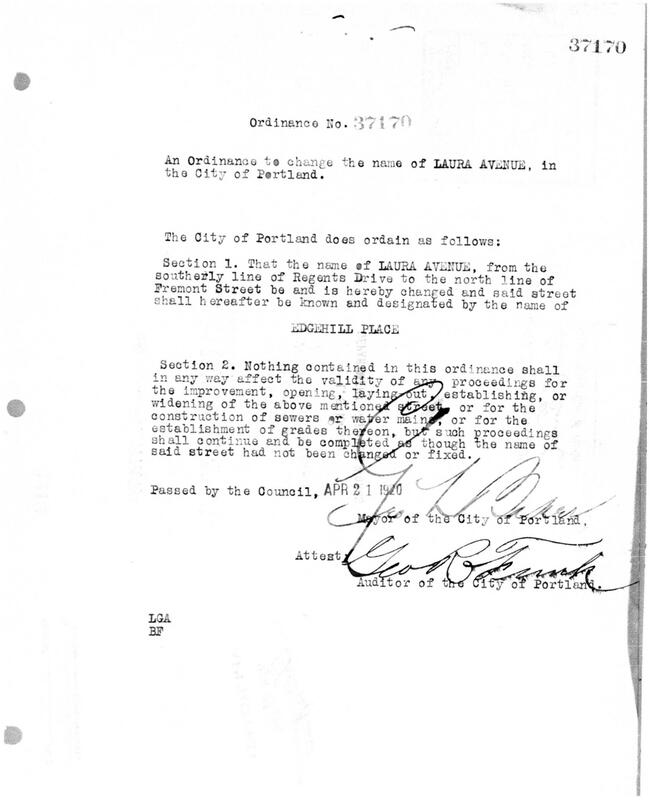 Courtesy City of Portland Archives, record number M/13197. What we’re looking at here are elevation drawings that show a cross-section of Alameda streets and slopes and how the sewer system relates to the grid above the surface. The measurement between the dashed line (which is ground level shown as feet above sea level, 243′ at the top of the ridge) and pipe placement shows how deep these pipes are. Pretty deep in some places. The red numbers indicate the number of feet between the indicated junctions. The percentage numbers indicate the slope of each line (up to 22 percent slope coming off the ridge). The whole idea here is to have positive drainage through the entire system (thank you, gravity). The label “SP” indicates the diameter of the pipe used. Pipe dimensions start smaller to the north and get larger as the sewers run south, a function of the growing number of connections into the main line as the sewers head for the main trunk collector sewer which is under Sullivan’s Gulch. There are many nuances to be seen here. 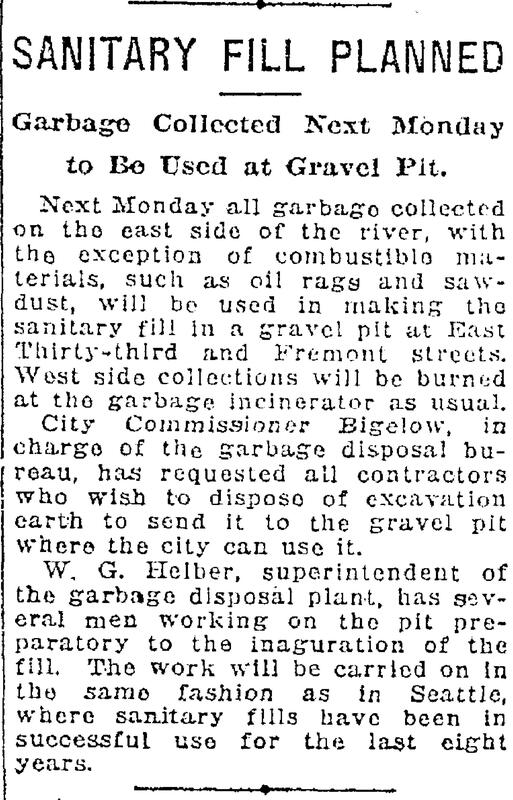 Interested in learning more about the history of sewers (not a question that gets asked very often, I’d say)? I’ve probably lost you by here, but just in case, check this out. 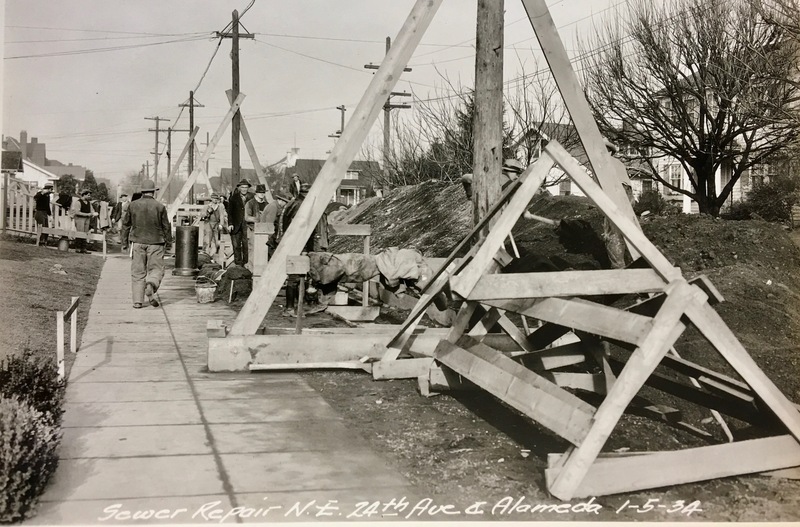 This sewer system was one of the first construction items completed when Alameda was built. Grading for the streets, curbs and sidewalk construction followed. 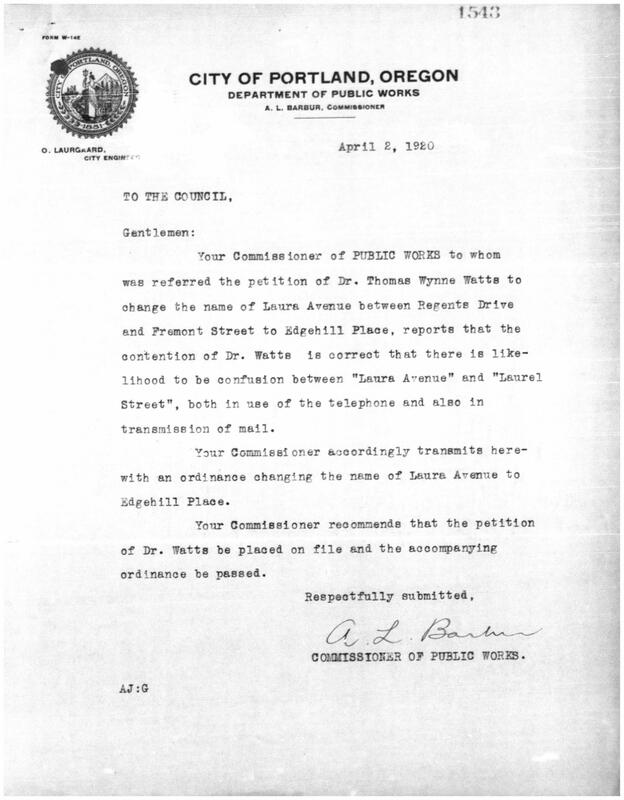 If you’ve seen the ubiquitous “Elwood Wiles” stamp on our sidewalks and wondered who he was, check out this earlier post. Among many other things, Wiles was a former Alameda resident (maybe you’ve walked by his house on Bryce just east of Regents). 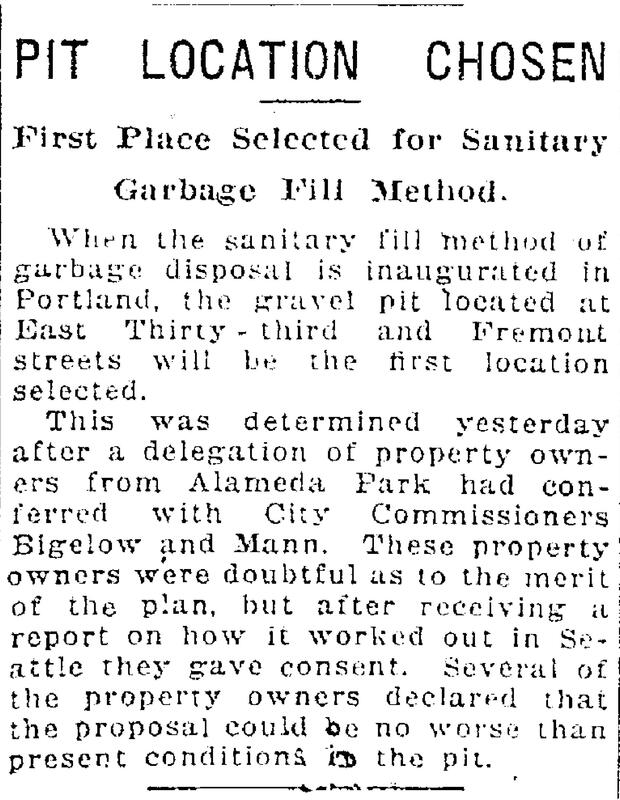 Evidently, aside from the engineering challenge of getting sewage safely and predictably down from Alameda Ridge, construction of that first sewer system posed financial and legal challenges as well. 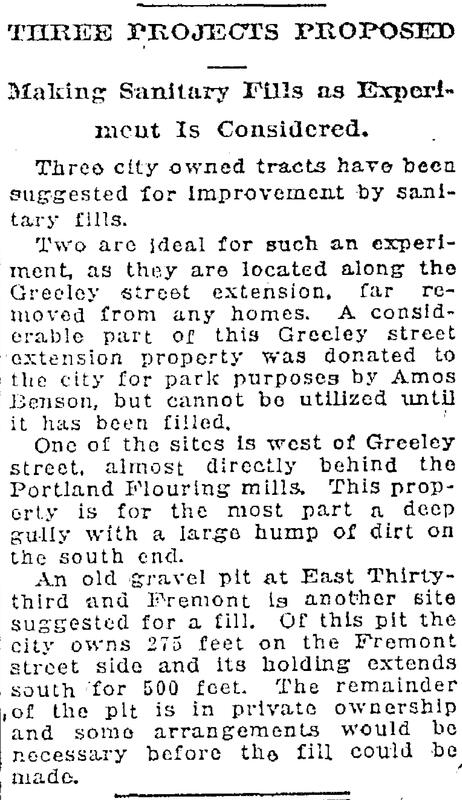 The Alameda Land Company wanted to be able to hook its sewer system into the existing Irvington sewer system, which made sense since it was all downhill on its way to Sullivan’s Gulch (where today’s I-84 runs) which was home to the major sewer line that drained into the Willamette River. 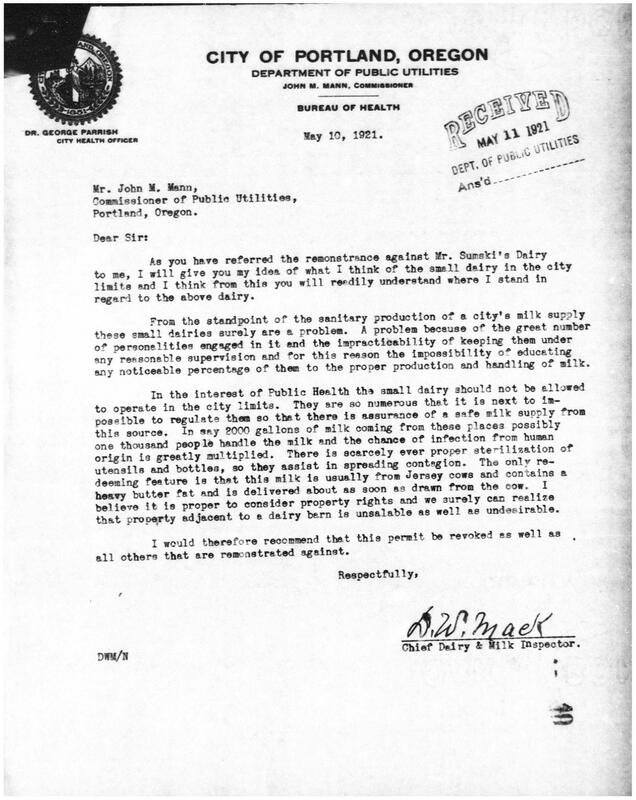 (Read more about how the eastside gulches drained sewage directly into the Willamette River and were eventually filled in. But that’s a different topic…let’s stay on track here). 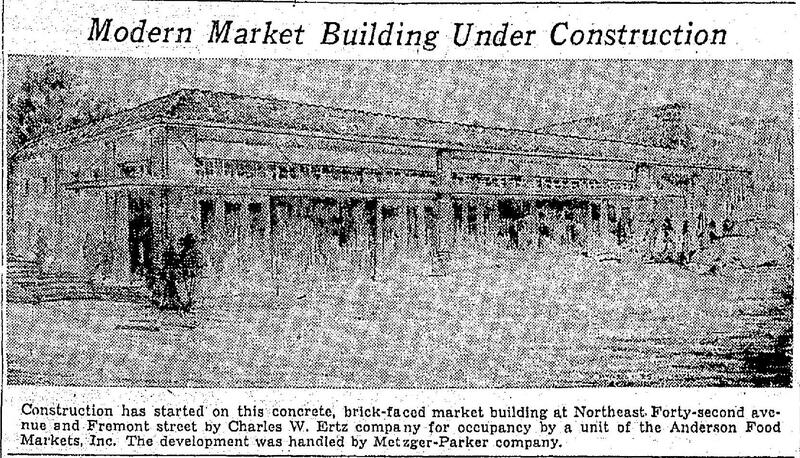 Irvington and Alameda were in competition for real estate sales and there was no love lost between the two development companies. Irvington was not about to foot the bill for construction of a sewer system just to have it be used for free by neighbors up the hill. 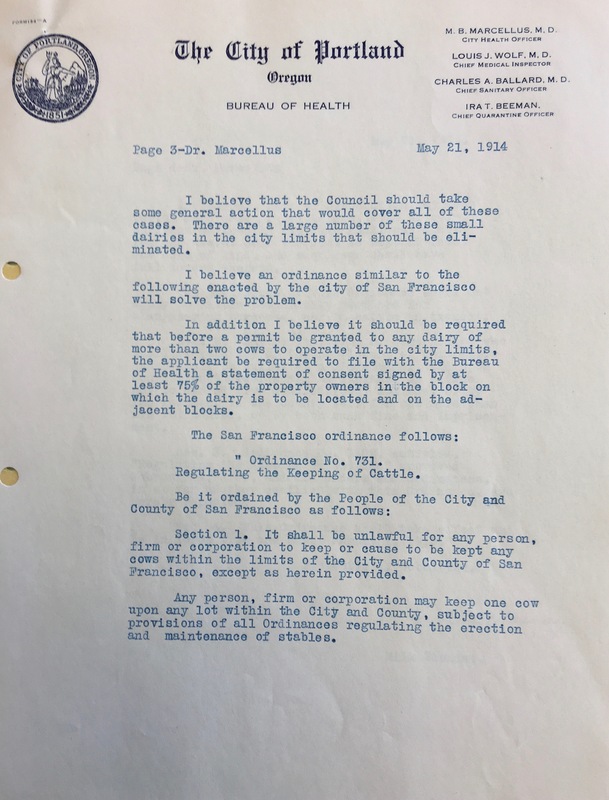 A restraining order was filed by Irvington against the Alameda Land Company in 1910 and eventually the city had to step in and referee exactly how system development charges were going to be apportioned. 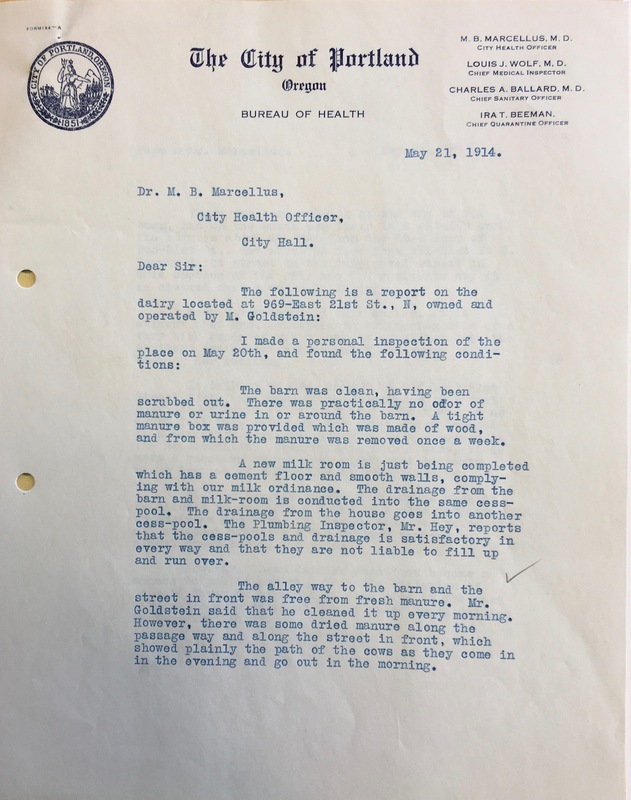 Ultimately, Alamedans paid for construction of their own sewer system, a portion of the costs for their sewer that drained into Irvington, and their share of the costs when the city constructed the main collector sewer in Sullivan’s Gulch in 1911. 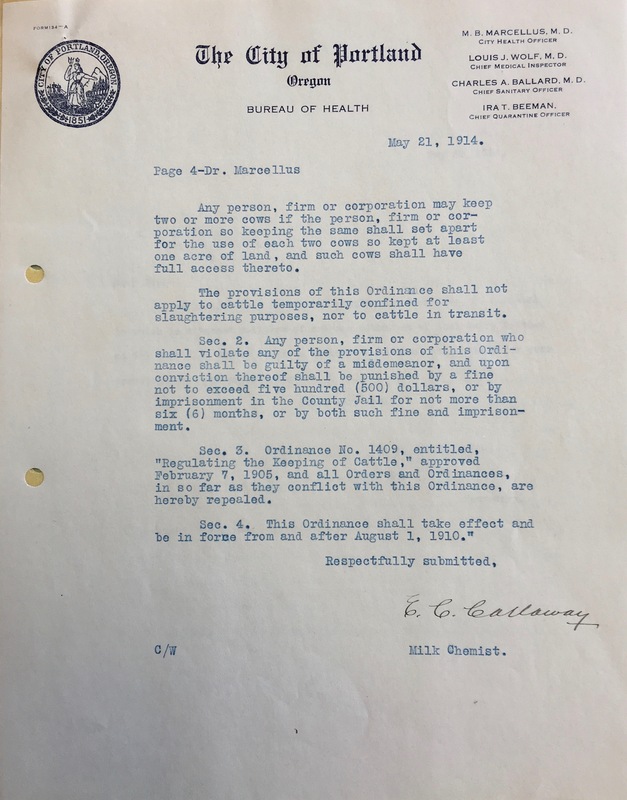 Interesting to note that over the years the usually friendly Irvington-Alameda rivalry took on a life of its own beyond sewer lawsuits, which you can read more about here and here. 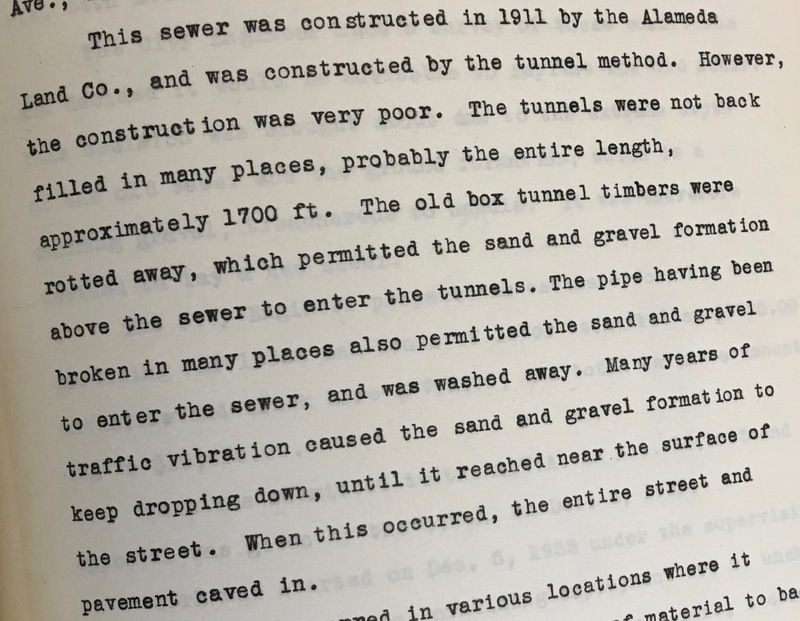 During our recent visit to City Archives we also learned that Alameda’s sewer system did not stand the test of time. Things started falling apart in the 1930s. 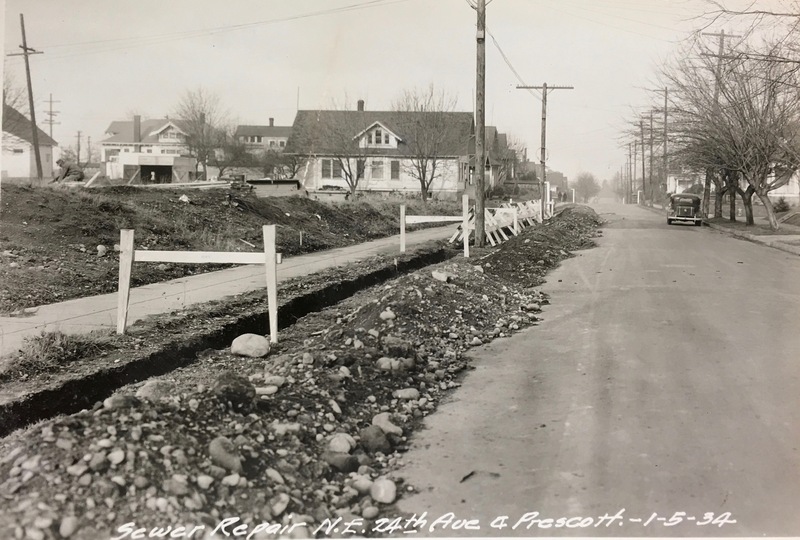 We came across photos and an engineering report from 1934 that details the very expensive reconstruction of more than 1,700 feet of sewer all along NE 24th from north of Prescott to south of Alameda. Here’s another view of that work, looking north on 24th. 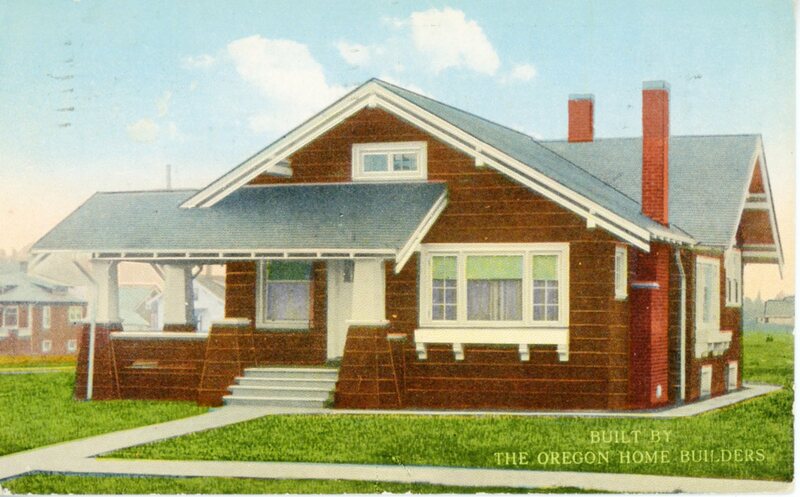 The house near the center of the frame is on the northwest corner of 24th and Prescott. 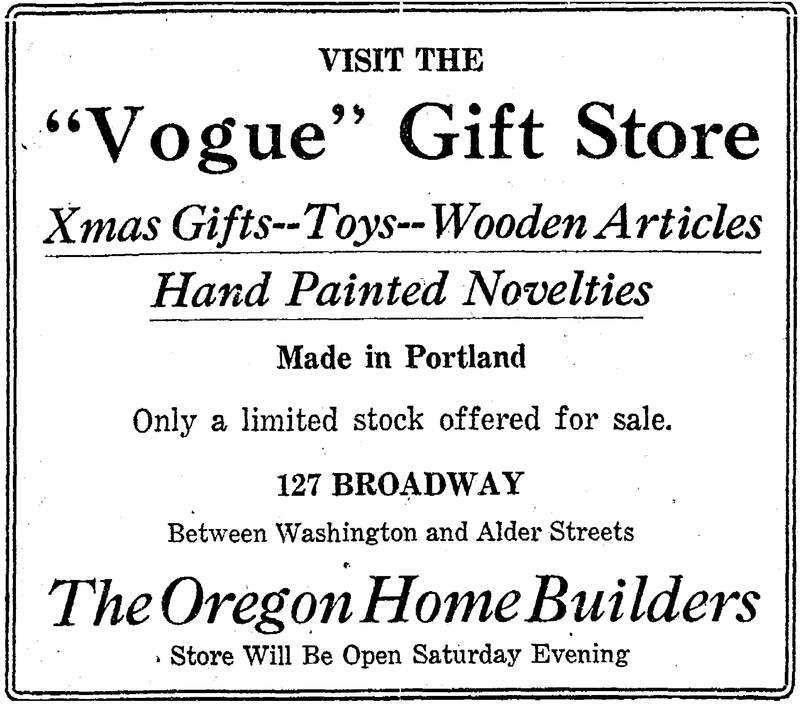 Courtesy City of Portland Archives, file AP/20614, January 5, 1934. 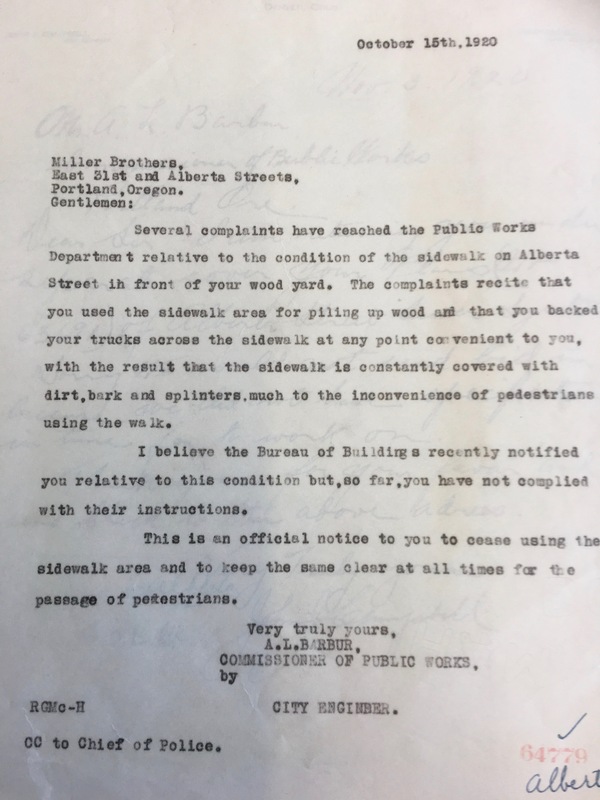 City of Portland Civil Works Administration Report 35-26W-76, March 20, 1934. 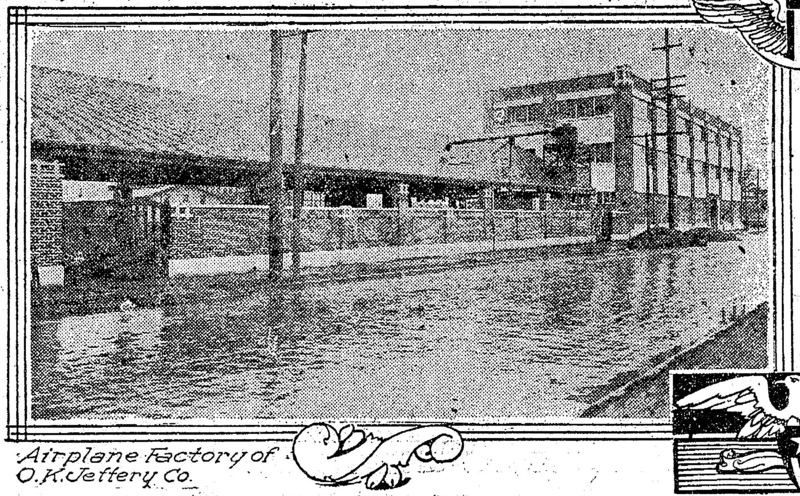 Back in 1911, using the drawings referenced here, workers dug deep trenches under what would become Alameda’s streets. At the bottom of these trenches, they used heavy wooden timbers to build long three-sided “box tunnels” without tops. Into these continuous long narrow boxes they placed fill dirt and sewer pipe. Using this common method, they were supposed to completely fill around the pipe with sand and dirt then close off the top of the box with a heavy wood cover before filling the trenches back in to street level. But that didn’t happen. Eventually the unsupported weight of sand and gravel settling in from above crushed the box and the sewer pipe. The surface of NE 24th also dropped as all the soil below street level began to work its way lower and lower into the collapsed box tunnel. The result: a cave-in at the surface of the street, crushed sewer pipes below and one heck of an expensive mess. Fortunately, for City Engineer L.G. 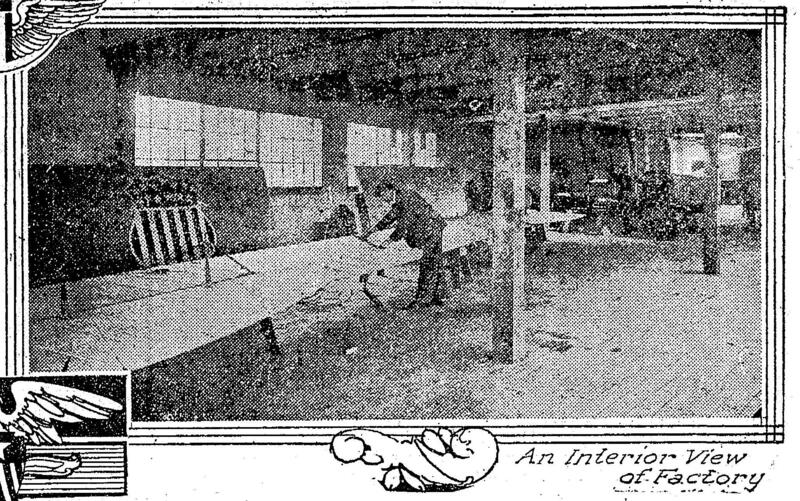 Apperson, the city had the original drawings on hand and knew where to start looking to solve the problem. Never underestimate the value of a good archive!